For nearly 50 years, the critics have raved that “an evening spent with Garth Fagan Dance is a humanity-affirming event” (Los Angeles Times). A true Rochester treasure, internationally acclaimed Garth Fagan Dance packs a punch with Fagan’s signature technique which marries the gravity of modern dance, the precision of ballet, and the power of Afro-Caribbean styles. 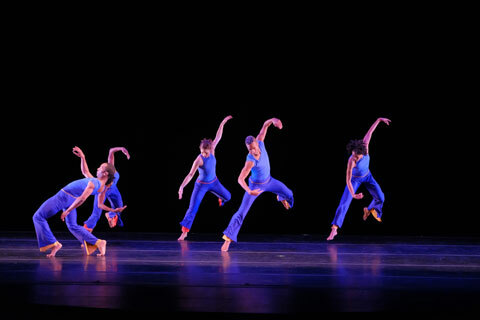 Garth Fagan Dance will perform two dynamic world premieres and three vibrant revivals from the company’s rich archive. The new works include The North Star by Garth Fagan – a celebration of the life of Frederick Douglass on the bicentennial of his birth – and an impressionistic work, Distant Kin, set to electronic music and choreographed by 40 year veteran Norwood Pennewell. The program also includes In Memoriam, created in 2001 as a moving tribute to the victims and families of 9/11, and to the influential lives recently lost: Aretha Franklin, John McCain, Arthur Mitchell, and Paul Taylor. Wednesday, Dec. 5 | 7:30 p.m.
Thursday, Dec. 6 | 8 p.m.
Friday, Dec. 7 | 8 p.m.
Saturday, Dec. 8 | 2 p.m.
Saturday, Dec. 8 | 8 p.m.
Sunday, Dec. 9 | 2 p.m.